Yamada Planning Office's job is to coordinate for manga artists. Registerd artists are listed in our homepage. Overseas publishers and editors are open for services. We are capable of smooth communication in English text via an experienced firm in Japan.With the firm We recently have beenable to be apart of a big educational project with a major publishing company in 2018 this way. 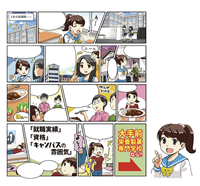 Here you can see how to create an ad using simple Manga. You are looking at ‘How to draw Manga’ described both in English and Japanese for those fans in the world who wants to draw Manga. 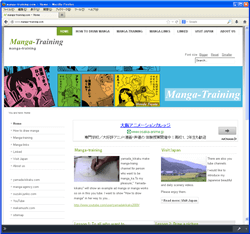 This is the site where you can download Anime creation software for free of charge. For more information and your interest see my other related sites too. 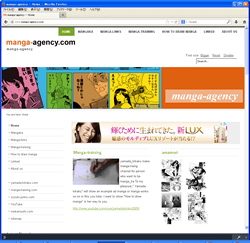 This site; manga-agency.com introduces you in English to see some work by Manga_ka and illustrators registered in Yamada-Kikaku. 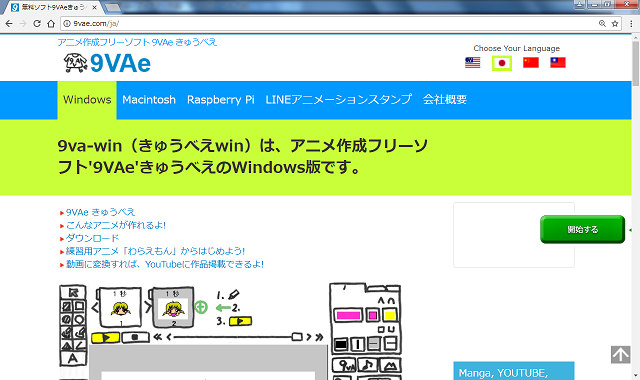 At this site; 9vae.com you can download the anime creation software for free of charge. There is English description for you to learn how to use it. 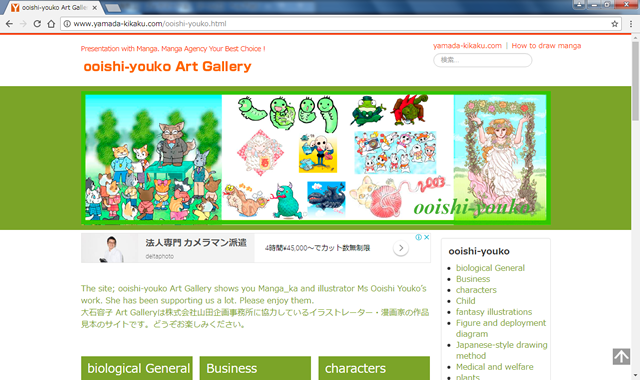 The site; ooishi-youko Art Gallery shows you Manga_ka and illustrator Ms Ooishi Youko’s work. She has been supporting us a lot. 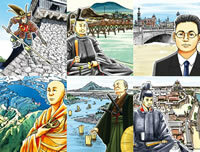 The site; Suzuki-junko.Art Gallery shows you registered picture book writer and illustrator Ms Suzuki Junko’s work. 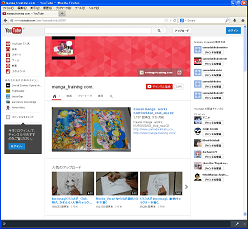 At this site; www.youtube.com/user/yamadakikaku2009 you can see the video version of ‘How to Draw Manga’. 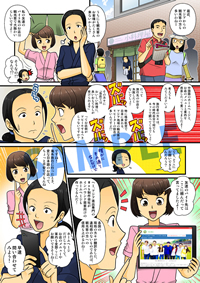 If you want to see its text version, please see the site; manga-training.com.you can also see some work by Manga_ka and illustrators registered in Yamada-Kikaku can be seen here. 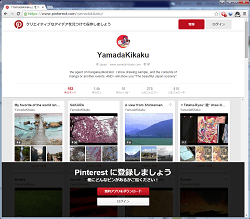 This site;http://www.pinterest.com/yamadakikaku/ is a guide to shows you some pictures Manga and Anime related information written in Japanese,and.for those who plans to visit Japan. 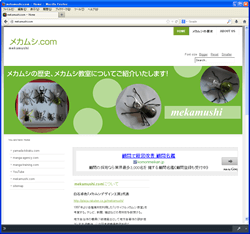 This site; mekamushi.com shows you some work of a craft-artist Mr. Shiraishi Takuya who has been supporting us a lot. You can see how to make his craftart, especially the work called ‘mekamushi’, insect figures using various kinds of mechanical parts. 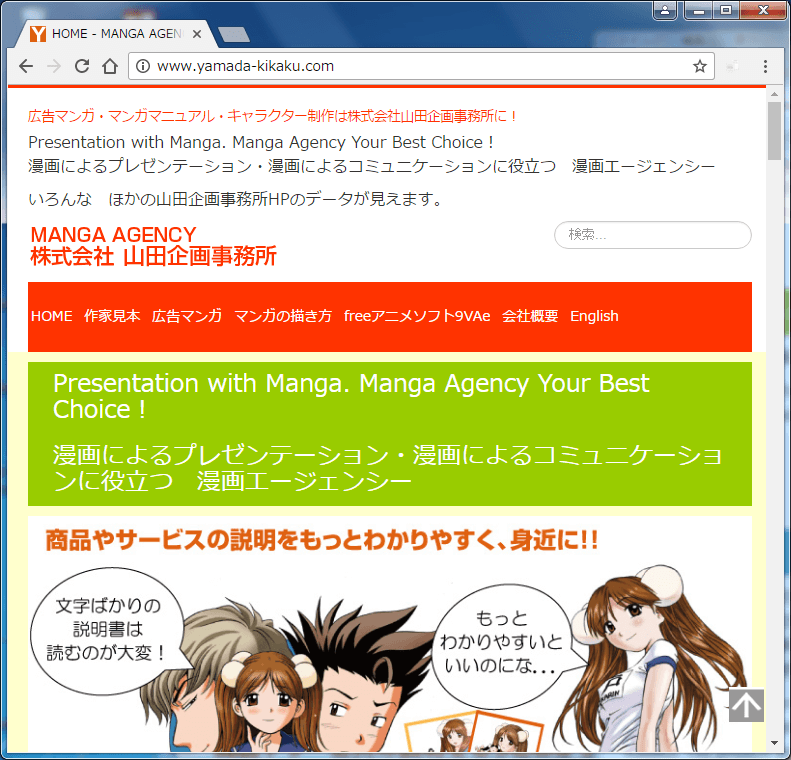 This site; www.yamada-kikaku.com is a guide to Manga and Anime related information written in Japanese. 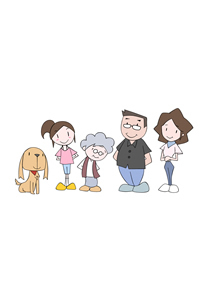 This site; www.yamada-hiroichi.com is a guide for those in the world who are interested in Japan, especially Manga and Anime. 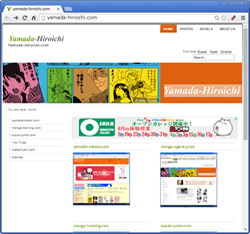 The site shows overall information to each related sites run by Yamada-Kikaku.